One of our Julie's House clients needs a vehicle. If you have one that you would like to donate, call Pat Bourke 706-836.2781. Transportation is essential for independence. Fair market value of the donation is tax deductible. Proceeds support Julie’s House – shelter for homeless women and their children. Make checks payable to Julie’s House and include driver’s license number. Mr. Rob Zapata, owner of Rob Zapata’s Electric, Inc., donated the labor and materials to upgrade the electrical system at Julie’s House. We appreciate so very much this kind and generous gesture! Thank you Mr. Zapata! Rob Zapata’s Electric, Inc., is located at 639 S. Old Belair Road, Grovetown, Georgia. 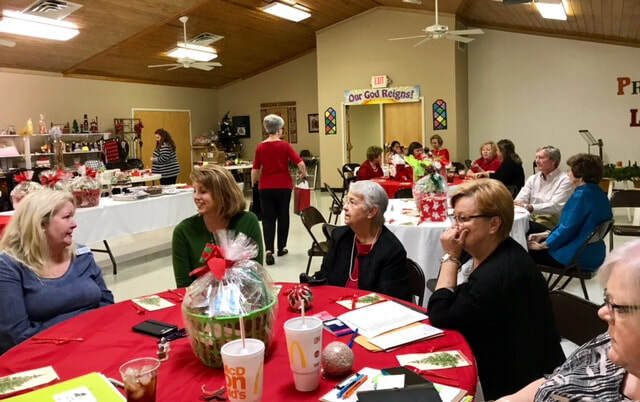 Michael Armstrong, President of the Board of Directors of Julie's House, gave a presentation to the Alpha Epsilon Honorary Teachers Sorority December 6th. The group held a silent auction for baskets filled with home-baked sweets baked by members of the sorority. They raised $500.00 from this fundraiser and gave the proceeds to Julie's House. Barbara Williams, a members of the group and volunteer with Julie's House, and Angela Faglier extended the invitation. Thank you, Michael, for giving the presentation and Barbara, Angela, and members of Alpha Epsilon Honorary Teachers Sorority for this kind gesture. Augusta Lodge No. 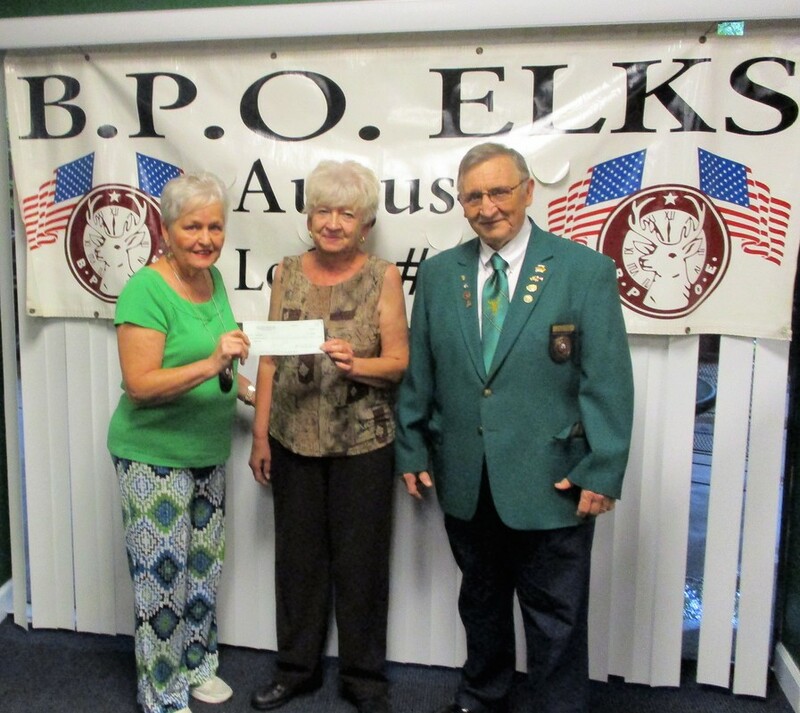 205 BPOE Elks presented a check to Julie's House in the amount of $2,000.00. In the picture - Patrisia Miller, Secretary of the Elk's Club, Pat Bourke, Executive Director of Julie's House, and Chuck Burke - Past Exalted Ruler of the Elk's Club. Mrs. Miller was instrumental in Julie's House receiving these funds. Rick Watson is the present Exalted Ruler.